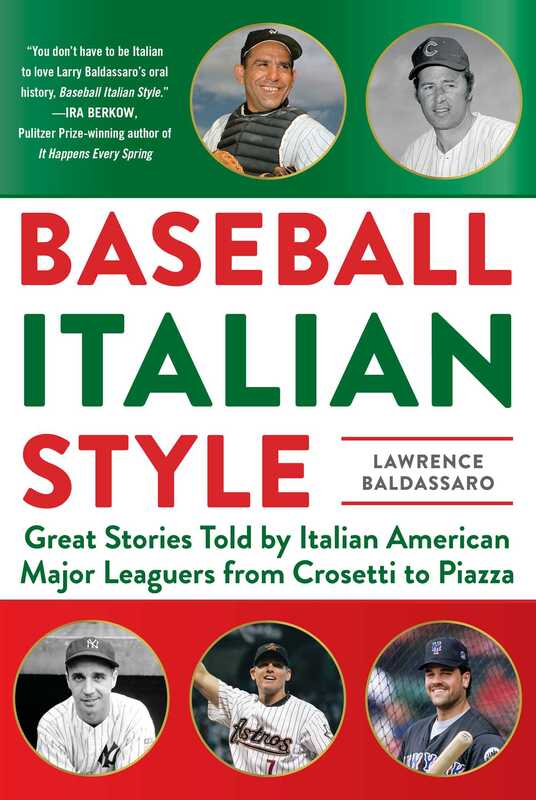 Baseball Italian Style brings together the memories of major leaguers of Italian heritage whose collective careers span almost a century, from the 1930s up to today. In these first-person accounts, baseball fans will meet at an intimate level the players they cheered as heroes or jeered as adversaries, as well as coaches, managers, front-office executives, and umpires. The men who speak in this collection, which includes eight Hall of Famers (Yogi Berra, Phil Rizzuto, Ron Santo, Craig Biggio, Mike Piazza, Tom Lasorda, Tony La Russa, and Joe Torre) go beyond facts and figures to provide an inside look at life in the big leagues. Their stories provide a time capsule that documents not only the evolution of Italian American participation in the national pastime but also the continuity of the game and the many changes that have taken place, on and off the field. At a time when statistical analysis plays an increasingly prominent role in the sport, the monologues in this book are a reminder that the history of baseball is passed on to future generations more eloquently, and with much greater passion, through the words of those who lived it than it is by numerical data. Lawrence Baldassaro, Professor Emeritus of Italian at the University of Wisconsin-Milwaukee, is the author of Beyond DiMaggio: Italian Americans in Baseball, editor of Ted Williams: Reflections on a Splendid Life, and co-editor of The American Game: Baseball and Ethnicity. He has published articles in numerous sports encyclopedias and journals, has been a contributing writer for the Milwaukee Brewers Game Day magazine since 1990, and wrote the chapter on sports for The Routledge History of Italian Americans. He resides in Milwaukee, Wisconsin.